One of the biggest reasons why people don’t try to fight their credit score is because of all of the different terms involved. Debts change hands all the time, so it’s hard to step back and realize exactly who owns your debt and how they’re supposed to take care of it. The trouble right now is that you’re going to have to really make sure that you’re thinking about your debt from start to finish — which means thinking about the type of collection that you’re dealing with. For example, you might be curious about the differences between original creditors and collection agencies. The collection agency is the one that comes after the fact, while the original creditor is actually the one that you made the agreement to. If you got a cell phone from T-Mobile and you fail to make your monthly phone bill, the company is going to try to collect the debt internally. When they realize that you will not pay it, they will charge off the account by selling the debt to a collection agency. The company gets to make some money off the account, but the collection agency is the one that really scores big. Most people will not try to make any type of deal with a collection agency, just trying to pay whatever the CA tells them to. No matter if you’re dealing with an original creditor or a collection agency, you need to make sure that you know your rights. You need to make absolutely sure that you’re not just doing whatever the collection agency wants you to do. They might try to tell you that you don’t have 30 days to validate the debt — or to get you to claim the debt on the phone. Never admit guilt to a debt collector because everything that you say is going to be recorded. Mind you that if you try to record them, they will hang up on you. It’s really dirty if you ask us, but it is what it is. Your original creditor is generally going to want to do everything that they possibly can to avoid trying to sell the debt away. They want to keep you as a customer so if you really can make a payment plan with them, we suggest doing that. However, you also have to look at statute of limitations when it comes to all of your debts. Generally speaking, original creditors aren’t going to mess with you on old debts — they’ve already sold it, and your debt has already passed through a lot of different hands. So you want to always make sure that you think about the status of your debt to begin with. There might be a point where you just need to abandon the debt rather than even give the collection agency the time of day. If a debt is outside the statue of limitations, they really don’t have any right to collect it from you anyway. Now that you know more about the differences between original creditors and collection agencies, you’ll be able to make better decisions in the long run! Following good credit practices leads to better credit scores, desirable interest rates, higher credit limits, and an easier path to obtaining most forms of credit including mortgages, home equity loans, installment loans, and credit cards. If you have a good credit history, lenders seek you out with offers of credit cards, balance transfers, and loans instead of the other way around. For borrowers who follow good credit practices, new credit opportunities are always available. The possession of a good credit history begins by following good practices with regard to each form of borrowing that you obtain. If you pay your bills on time, you avoid the risk of late payments and the accompanying fees and interest charges as well as a negative mark on your credit history. If you pay the minimum amount due, the full balance of a credit card, or slightly more than the requested minimum sum, you develop a good history of credit, an essential aspect of creating a good credit score. If you have trouble paying off your credit debt in full each month, try spending less money or paying cash for some of your typical credit expenses. Each and every time you apply for a loan, credit card, or mortgage, the lender must perform a background check on your credit in order to determine your credit worthiness or the risk of lending you money. The three major credit bureaus, Equifax, Trans Union, and Experian maintain records that are available to lenders who request and pay for them. Wouldn’t it be nice to hear that your request for credit has been approved with the statement, “Wow I’ve never see credit scores like this” instead of “Your request has been denied” and a wave toward the door? Of course it would, and that is exactly why you need to get into the habit of following good credit practices to maintain a positive credit score and history. Obviously, borrowers with the best credit scores find it easier to obtain the best rates and deals when it comes to credit cards, mortgages, and loans. Increasing your credit score by following a few helpful tips could lead to big rewards down the line when you are able to obtain credit without any problems whatsoever. If you develop good credit and continue to follow these practices, it leads to a better credit history and score as well as more desirable borrowing terms. – Avoid closing out more than one credit card account in any given month. A good credit score is essential when an individual tries to obtain new credit. The easiest way to create a good credit score is to follow good credit practices from the beginning. The tips above will definitely help you get started! When the FICO score was first invented it was meant to just help lenders gage the trust-worthiness of a potential borrower. Since then, the FICO score that is created via your lending and repayment of various types of loans from credit cards, mortgages, car loans, and even no fee same day loans, has a much wider impact on your financial opportunities than ever before. It will determine whether companies will lend to you at all. It can be used by landlords to determine whether they will rent to you. It can determine what rates you get on your insurance premiums. It can also keep you from getting a new job. 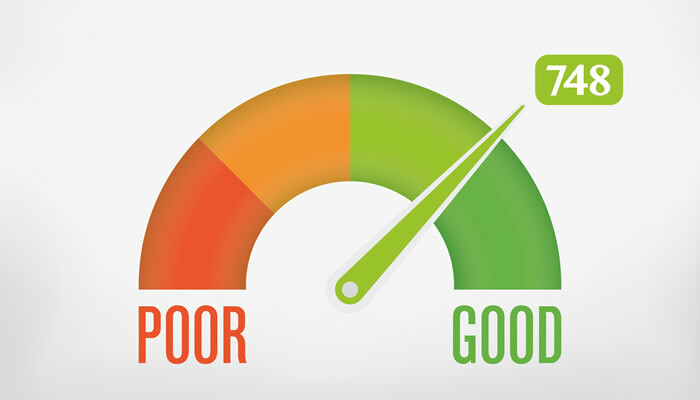 If you have a bad FICO score, you will either be denied credit or be offered credit at higher interest rates than someone with a better score. Lenders will see you as a credit risk and if you want to finance anything, from a car loan to a mortgage, it will cost you more over the life of the loan. Landlords and apartment management companies will now routinely ask to pull a credit report before they will rent to new tenants. You can be denied a rental if you have a bad credit score or you may be asked to front the payment several months in advance. If you can’t get a rental with bad credit, it’s going to be even tougher to buy a house. This can mean that the choices you have for living arrangements is sharply curtailed. It seems unfair that even insurance companies can charge you more for premiums based on your FICO score, but it is a practice that is now in place. If you see a sudden increase in your premium, call and find out what the reason is, but if it’s your FICO score, they’ll blame it on you. Cautious and choosy employers want the perfect candidates to fill their positions and that can include a good FICO score. Not every employer will care about your credit history when hiring, but some like banks and financial services have always been more careful about hiring people who are in financial difficulties. They claim that there would be more temptation to embezzle from the company if a person has a low credit score.